On My Way Pre-K awards grants to 4 year olds from families all over Indiana so that they may have access to a high-quality pre-K program the year before they begin kindergarten. 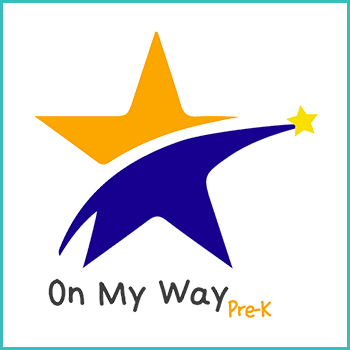 Families who receive a grant may use the grant at any approved On My Way Pre-K program, including any Finding Me Now location. Finding Me Now wants to help you apply for the FREE on Pre-K (Marion County residents can also apply for preschool grant)! Apply online (Marion County residents) or click to Apply online for all other counties. You are also invited to come into our center, and we will help you apply on our computer. Only the highest quality Paths To QUALITYTM Level 3 and Level 4 programs are eligible to accept your OMWPK voucher and can help prepare your 4-year-old to be ready for kindergarten. Finding Me Now has earned the highest level of quality all locations. Families must earn less than 127 percent of federal poverty level (FPL). FPL information is available by clicking here. ** Family applications in Allen, Jackson, Lake, Marion and Vanderburgh counties will be accepted up to 185 percent FPL; however, all families at or below 127 percent must be enrolled first before families at higher income levels will be considered. If you have any questions, contact us at 1-888-777-7312, or click here to find your county’s On My Way contact.